In recent years, research on image generation methods has been developing fast. The auto-encoding variational Bayes method (VAEs) was proposed in 2013, which uses variational inference to learn a latent space from the image database and then generates images using the decoder. The generative adversarial networks (GANs) came out as a promising framework, which uses adversarial training to improve the generative ability of the generator. However, the generated pictures by GANs are generally blurry. The deep convolutional generative adversarial networks (DCGANs) were then proposed to leverage the quality of generated images. 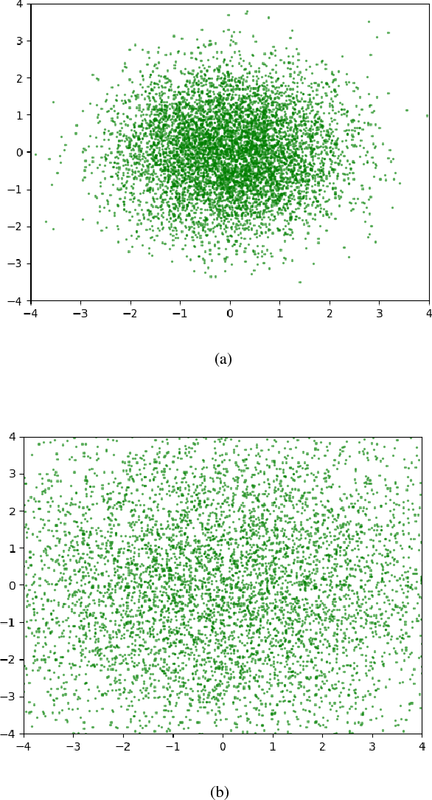 Since the input noise vectors are randomly sampled from a Gaussian distribution, the generator has to map from a whole normal distribution to the images. This makes DCGANs unable to reflect the inherent structure of the training data. 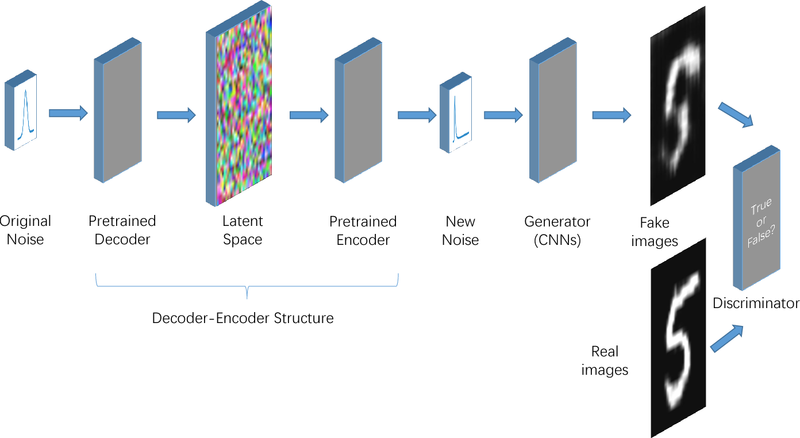 In this paper, we propose a novel deep model, called generative adversarial networks with decoder-encoder output noise (DE-GANs), which takes advantage of both the adversarial training and the variational Bayesain inference to improve the performance of image generation. 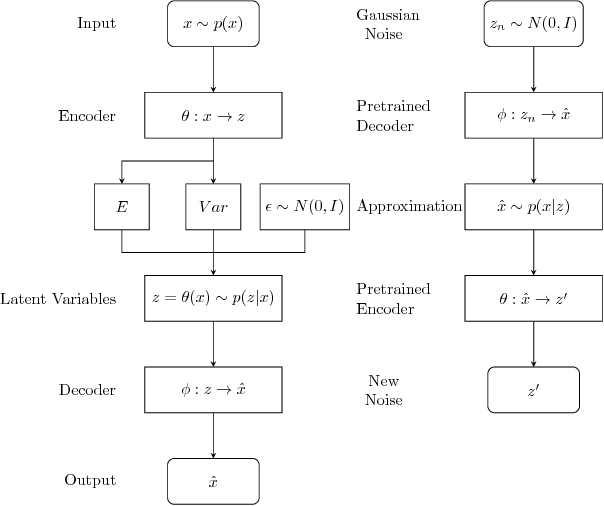 DE-GANs use a pre-trained decoder-encoder architecture to map the random Gaussian noise vectors to informative ones and pass them to the generator of the adversarial networks. Since the decoder-encoder architecture is trained by the same images as the generators, the output vectors could carry the intrinsic distribution information of the original images. Moreover, the loss function of DE-GANs is different from GANs and DCGANs. 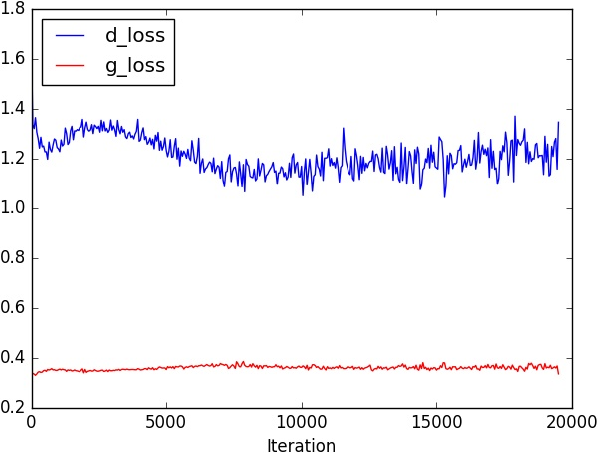 A hidden-space loss function is added to the adversarial loss function to enhance the robustness of the model. Extensive empirical results show that DE-GANs can accelerate the convergence of the adversarial training process and improve the quality of the generated images.